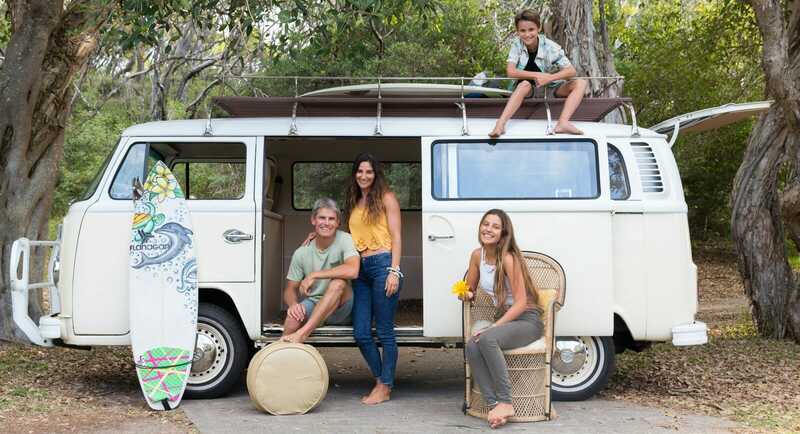 We meet the Woods family from Sapphire Beach who packed up their home in early 2016 for a life on the road. Their travels have taken them to jaw-dropping locations around Australia and as photographers, Tom and Sherrin have documented it all beautifully along the way. Perhaps it’s that self-containment as a couple and as a family that makes their unconventional existence work so well. “We have a lot of friends with great relationships who, by their own admission, need that separation from one another from time to time and we totally understand that – it’s almost the norm but we’re a little different in that we’re better together and want to experience everything together,” says Tom. Tom and Sherrin’s connectedness also helps explain why, even when visiting some of the most impressive surf locations around the world, Tom was left feeling somewhat empty. The ‘kids’ are Delta (14) and Billy (10) and they too are thriving as nomads. Let’s rewind a bit though to when Coffs Coast was home. Sapphire Beach on the northern beaches had been their base for about 15 years – long before kids entered the picture. And Tom and Sherrin were practically kids themselves (not long out of their teens) when they left their hometown of Adelaide to travel around Australia. They fell hard for the north coast of NSW and decided that between the climate and the waves, Coffs was a perfect fit. As budding photographers, they also felt it was the ideal location to pursue their goals of turning professional. With the beach at their doorstep and World Heritage national parks close at hand, they were spoilt for choice photographically. 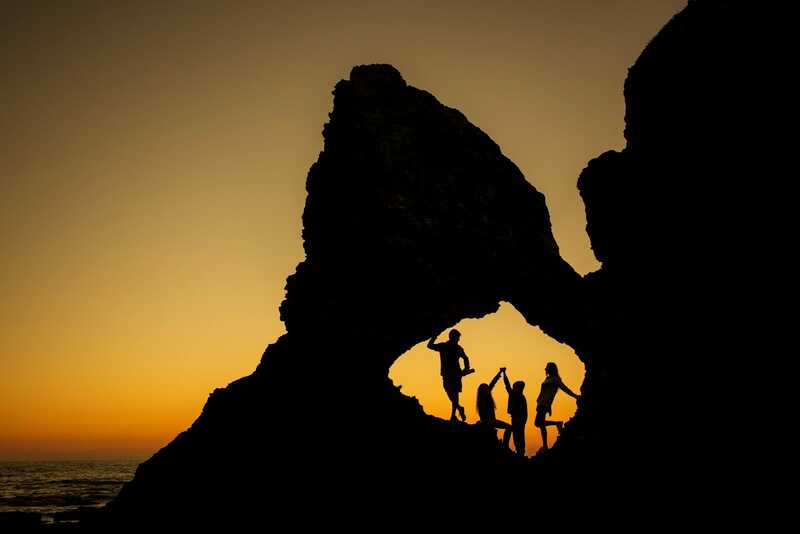 But despite developing careers and establishing a home studio that allowed plenty of family time, surf photography can be a solitary pursuit as Tom discovered and it was time to change tack. Travel, photography and family. How best to combine it all? A few years ago, ST Images (you guessed it, short for ‘Sherrin’ and ‘Tom’) cleverly created a niche market for themselves in holiday park photography. 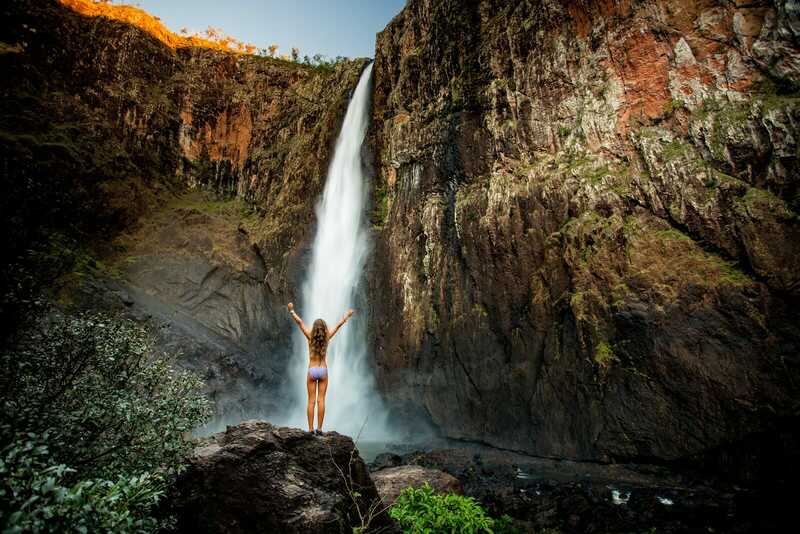 In the latter part of 2015, the Woods family photographed 23 parks between Newcastle and the Gold Coast. They would make a long weekend of the job, returning home between shoots. ST Images were building a strong portfolio in a specialised field. Tom then thought, ‘Wouldn’t it be cool if we could go to all of these places not just as a holiday but as a lifestyle?’ And in early 2016, with a few months of work lined up with the BIG4 group, the family decided to take the show on the road. Of course, it hasn’t all been smooth sailing. While Delta and Billy were thrilled by the adventure, having been inspired by the journals their parents kept from their travels, establishing a school routine through distance education took a few months. Sherrin also had to adjust to the role of teacher. 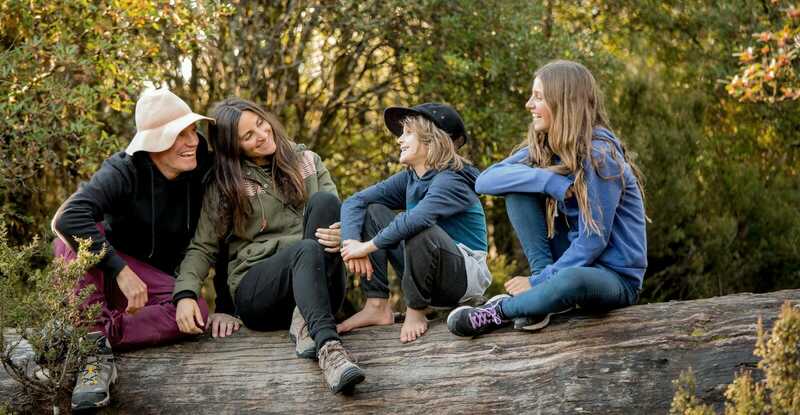 These days though, Sherrin says Delta and Billy’s education is soaring and is complemented by their many day-to-day experiences away from the books like visiting museums and galleries or going bushwalking or to see a waterfall. Both kids have a tremendous appreciation of the natural world. Tom describes Billy as a wildlife fanatic and says Delta is like a little mermaid. And it’s easy to be inspired when days are spent snorkelling with manta rays or seeing dugongs. I have one final question for them, sure to create some discussion between the pair. So, of the two of you, who is the better photographer? Given that the initial plan was just a few months on the road, the couple are surprised at how long they’ve been away. Work has been steady and in between jobs, the family explore. Sherrin acknowledges that there may come a time soon when the kids simply want to stay put but for now, everyone is making the most of it.